Are you ready? Are you ready to make that rescue, that tough push, that critical decision based on your experience and training? Are you as good as you can be? Are you doing your part to make sure your brother to your left, and your brother to your right is ready? By ready I mean have you practiced, reflected, self evaluated, studied, mentored your fellow brothers and prepared yourself for any and all situations you may encounter as a firefighter or an officer? At first thought this may seem to be a simple question but once you put some thought into it and consider it in an objective honest manner, one may come up with an answer he may not want to admit. On a regular basis I remind the firefighters I work with to ask themselves if they are ready, and to reflect about one simple concept….”Am I good enough for my children?” If you had to make that rescue today, would you be prepared to successfully rescue your son or daughter or that one person that if you lost, your entire world would crumble? If you think about it for a moment, it’s a pretty sobering thought. Every operational task you perform you should be doing your own “internal” size up, asking yourself if your performance is up to your “children’s standards”. Are you good enough to succeed for your children? This is my personal internal size up factor. I ask myself this question on a regular basis and because of this outlook, I continue to push myself to get better. This job is a never ending dynamic learning process and it will pass you up in a blink. So the next time you find yourself wanting to cut training short, finding an excuse to not attend that next seminar or conference, decide to cut out of a training seminar early, skip reading that article your officer gave you,skip running those saws or checking medical equipment out, or not repeat an evolution to shave off seconds from a task, ask yourself that one question…..Is this good enough for my loved ones? If you can’t answer that with an immediate confident YES, then get back to work and hone your skill to your “children’s standard.” To be great at this job, you have to put in the work. Trust me, when you arrive and that family is frantically pleading with you to save their children, they want…no they demand and expect that you will be great at the job, not just good or average! You should expect nothing less from yourself. If you won’t do it for yourself, do it for your kids…one day it may be them you will be rescuing. Who are they: They are all around you and they are graduating from academy’s every day. What are they: They are our next generation and the future of the fire service. If you are a Company Officer, they are riding behind you. If you are a Chief, they are the Troops you had coffee with this morning. Why are they going to be LODDs: Because what live fire training is today, is ill preparing them for what they will face once they are riding on the apparatus. But we have NFPA 1403: Which is part of the problem, as it has watered down fire training (pun intended) to something unrealistic, to the real world of rapidly growing fire conditions we now face. There was a definitive need for NFPA 1403: that was plainly seen by some of the training events which left you saying that favorite three letter acronym that also works for, Well Trained Firefighters. Training evolutions that were not thought out all the way through no doubt. They were not planned with intent to do bodily harm but had tragic results. But these same departments go to real world fires without killing their Troops. There is often a more lax command and accountability at a live burn event because, “It’s just a training burn”. As if the fire and smoke are training fire cooler or smoke training toxic level. That apathetic attitude will most definitely get someone hurt or worse. So to combat this we have tamed our burns down but our fires in the streets are doing the complete opposite. Basically like training and equipping the Troops to fight in the desert and shipping them to the North Pole to fight and hoping for a good outcome. Today our fire attack is more enhanced than ever before. We have more technical and laboratory information produced than ever before. With all this what we are teaching sometimes does not match our enhancements and the information we have gained. Now it has been awhile since I was on the military training grounds but, even back then we were not taught, go till you feel bullets hitting you and then start shooting. Still we have firefighters that think you need to feel your ears burn so you do not get to deep. But this is a myth because every time you burn your ears and they heal up they lose feeling. So the next time you will be deeper yet, because you are deadening them every time you burn them. The “Don’t shoot till you see the whites of their eyes” has long since went away. But we teach exactly that by saying do not open the nozzle till you see fire. The smoke we are passing through to get to that glow is a bullet just waiting for the right conditions to cap the primer. The intensity which it lights will also light fuel behind us there by causing more problems. Better gear and thermal imaging now enables us to literally fly to the seat of the fire compared to the days of inching forward blindly by brail and feeling that heat at a slower pace. As Newton said “To every action there is always an equal and opposite reaction”. So here is ours, you fly to the seat of the fire and the reaction is it burns your gear off or melts your mask. This is probably not what we are hoping to accomplish. But we routinely drag our underlings in right up to the fire and open up. This works great in a concrete room, with pallets or hay, but not in room full of hydrocarbon based products with a means for the fire to travel. I have not been to too many residential fires where I found a stack of pallets or hay burning in the middle of the living room or bedroom, excluding acquired structures. What I have found is overly stuffed BTU producing rooms that produce extreme fire conditions when the conditions are right. There is a ton of articles with huge amounts of BTU production rates and Heat Rise Rates. All this data is extremely informative and relevant but it boils down to these few things. Attack with as much water as you can be effective with and you have trained with. If you do not train with 2 ½ inch line you are probably not going to have great results pulling 2 ½ on a large volume of fire. Eventually your experience/training might catch up but you will lose a few buildings before you get there and maybe a firefighter or two. I remember reading a report chastising the use of 2 ½ at a residential fire. The reason stated you couldn’t move 2 ½ and be effective. Really, whoever wrote this has not seen some of the firefighters that I have seen move a 2 ½. But I have seen those that cannot advance a 1 ½ either. When our armed forces are faced with a target a little bigger than they want to deal with up close with a small force, they prep the target from a distance. We can do exactly that, it is called reach of stream! The problem evolving from how we are training in burn building is, flowing water while advancing the line is becoming a lost art form instead of a basic skill. Awhile back some of my Mentors where blamed for why bad events where taking place. So I went back and looked at videos of those “horrible guys”. I did not see them going in without water or wading in till they just could not stand it anymore and jerking the bail open and hoping the fire went out. These guys worked in busy houses their whole career and never retired until they went to the house the last time. They fought fire aggressively and they were the solution not the problem. They all went home too, because many are all enjoying retirement. Their mentored firefighters are not killing people off at an alarming rate now either. There is too much “Let’s run in and get some of that” mentality instead of “Let’s push aggressively and get all of it”. Engine companies have to be changing the conditions to better, not just sitting inside and letting conditions simply get worse around them. From the Incident Commanders position, if crews are in the building and conditions are worsening, the I.C. has no choice but to pull the crews out. Put yourself in the I.C boots, they have 2-3 lines capable of 200 G.P.M. each inside a burning structure and conditions are getting worse, you have to wonder. If an Incident Commander or Division officer that can actually see the fire calls me for a progress report at a single family structure, I take that as a clue we are not moving or being effective. 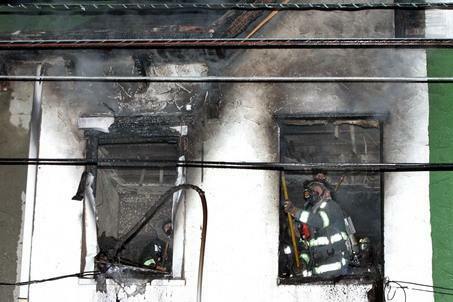 The progress of an attacking hose line should be visible from the outside in most structures. So where is the problem? Better gear, Thermal Imagers, radios in every firefighters coat and people are still getting in trouble and the fires are not going out. The problem is one of the smaller pieces of equipment on the fire ground, the nozzle handle. It is not being opened and the line is not being advanced while flowing. Reach of the stream is not being used. We teach sounding the floor with tools during search. Why not teach structural stability with the stream? A 1 ¾ hand line producing 200 G.P.M. is a 1666 pound a minute hammer. Use the stream and look for kill you structure damage when the stream hits. Think past the moment of the fire going out. When things are heated they expand, when cooled the contract. A heavily involved room has a lot of expanding going on that when you apply a sufficient G.P.M. fire stream you should be causing an immediate switch to things cooling and now contracting in an instant. This is not breaking news to you, I am sure, but when we have trained our Firefighters to always be right up and personal with the burning material in the burn building. So in the streets they get in the room before causing the reversal. The fire is producing more BTUs than ever before so bigger flow hand lines are being carried by almost every department so what gives. All that flow is worthless if Firefighters do not react according to the situation they face. But how can you expect a firefighter to operate accordingly during an extreme fire event if they have never seen a extreme fire event or applied water during an extreme event. Now given the faster temperature rise of our hotter fires you certainly cannot expect a good outcome if they are scared to death because they have never felt significant heat beyond their own body heat in gear. 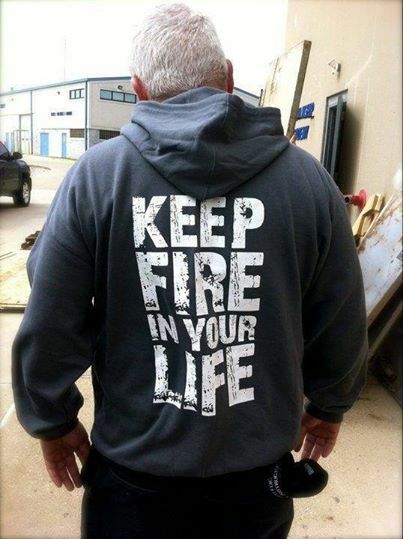 Does every live fire training need to be flashover hot, absolutely not. Do we need to put trainees into flashover chambers to operate no, that would get really expensive in gear and S.C.B.A. But a firefighter’s first encounter with Walmart heat should not be at a Walmart fire. It should be in a controlled environment. A Walmart fire is not referring to a fire in a Walmart store. This is a fire that makes you question why you did not go to work at Walmart instead of the hot, black nasty one; I think we may die environment you are currently in. Firefighters need to be trained in this environment enough to know that they can survive. How bad would the U.S. Navy Seals performance be if they trained at the neighborhood heated pool? Long durations are not needed either. A little goes a long ways because when you encounter that heat you basically have 3 options. Flow water, ventilate if not already done, get out, or combination of the three. Trainees need that seasoned Instructor to say, “Okay when it feels like this, here are your options and if you do not exercise one of these, it will get much worse.” Will trainees get their needed experience at the Academy, no but they should be well trained enough that the Company Officer does not have to tackle them or kneel on them to maintain crew integrity. Let No Man Say his training let him down. This is a very often repeated statement which is on many Fire Academy walls and in training material. So why when live fire instructors can routinely be heard to tell students, “This is not like the real thing” are we allowing their training to let them down? We often jump on the newest thing, because it is new it has got to be better. Did we try it under those real conditions or close to real? Probably not or that whole left for life and driving all that heat down on us and pity on anyone near but not under the might fog might not have been such a great savior. Attacking the gas is not the root of the problem No one is going to the fires they used, not exactly breaking news. So where is the experience going to come, realistic training not make believe almost like a fire training. Many will scream where the safety is if we burn hot. Where is the ability to keep the trainee safe from crawling into the fire and just burning their untrained selves up? Staffed back up lines in place where they will make a difference. Staffed by Firefighters who will say uncle and open them to make a difference. Facilities constructed to produce the desired result of producing a fire to flow water onto with barriers to keep the student out. 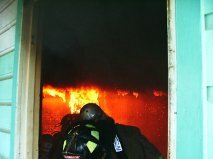 Burn rooms that have light debris that actually fly’s around producing some of the effect a 200 GPM stream makes happen. Remember the first time you hit sheetrock ceiling with water and it fell. That wasn’t seen in training was it? Probably got your attention though. Eventually you got used to it would have been nice if it was not such a big surprise. Or the fact that when we drive those streams against a solid wall it comes back on you. You can no longer see just from your own water. But you will not learn that in a two or three second blast from a nozzle. I have repeatedly stated that the engine company officer has the biggest impact on the fireground. You IC’s out there needn’t worry. You’re important too and of course, so is the ladder officer; however, fire extinguishment is why we are in business and that comes from the exit port of a nozzle directed by the engine officer. For those that aspire to be engine officers, there is plenty to learn and discover. A good portion of learning should have already taken place as you observed others. The discovery portion is truly the variable because it is about individual effort. To discover new ideas, new methods and try them for suitability is one very important component of professional growth. Can you honestly say you are into it? If you find yourself with a lack of passion for engine company operations as an engine officer, it’s time to turn the tide. I would hate being in this business and just let it all pass me by without hitching along for a ride. The diversity in engine operations alone should spark an area or two of potential interest and perhaps eventual expertise. When you encounter someone who works at a business and is asked a question that they should know the answer to, but doesn’t that’s bad, worse is when they don’t care to boot. You have just encountered a compartmentalized employee. This person has a narrow band of knowledge, and is in a rut. If that’s you, that’s bad, but not inescapable. 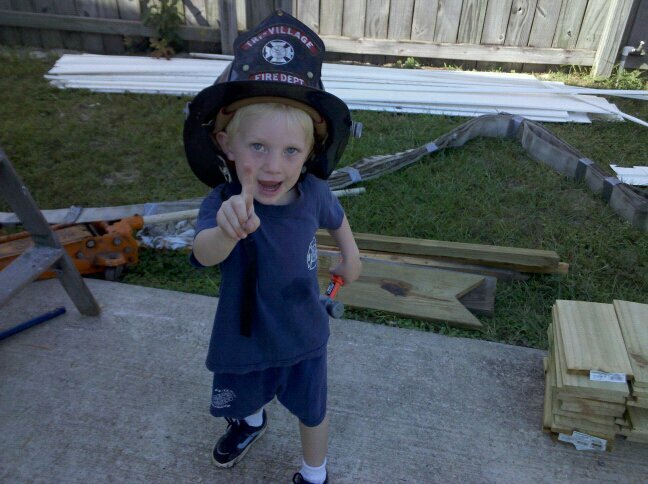 The tuned in engine company officer sees opportunity where others see extra work. They see variations as possibilities and possibilities as platforms for enhanced operations. By going to extra lengths for yourself and your company you ‘ll be able to increase your tactical safety and call for water quicker than the rest. When searching for extension and possible hidden fire in ceilings, firefighters must discover a ceiling’s true identity. Many ceilings come in pairs – a newer one below an older one. This can take the form of similar materials or modern components versus legacy construction. While not exactly a double ceiling, double thickness drywall is another tough pull. Removing drop ceiling tiles is the easiest ceiling to pull. Many times they are just added as a modernization of the space. While they can collapse, their weight doesn’t compare to plaster or other materials. Often drop ceilings hide old tin ceilings, plaster and lath, drywall or all three. The point is, if you discover an additional ceiling, you must open it up after you remove enough of the first one. This second barrier is typically more difficult to pull due to still in place supporting member of the lower one and space restriction. Let’s not forget the materials such as tin which, in a deteriorated state of rust and decay, can really be frustrating to remove as small pieces litter the floor. We want our ceilings to come down quickly and completely in sections, not mini bites so that there is no longer any hidden voids or embers remaining unseen. So when you stick your hook way up high and hit a second ceiling, get ready for a workout. By removing both thoroughly, you can be assured that all that destruction equaled preservation. Without a proactive examination and subsequent exacting overhaul, more will be lost. Save property and improve tactical safety by pulling double duty when it comes to ceilings.